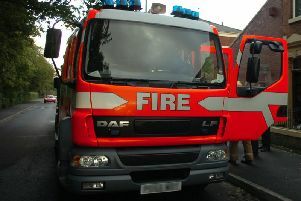 Three crews tackled a kitchen fire sparking a warning from emergency workers. Crews from Bamber Bridge, Chorley and Horwich attended the fire at a home on Hamilton Road in Chorley at around 6pm on Saturday. One person was taken to hospital suffering from smoke inhalation and another person recieved medical treatment at the scene, according to Lancashire Fire and Rescue Service. The incident sparked fire crews to issue a warning about safe cooking.